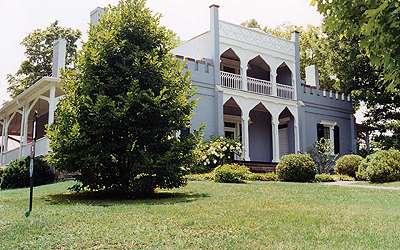 Columbia, the seat of Maury County, is nestled along the Duck River at the southern edge of the Nashville Basin. It is served by State Highways 7, 246, 247 and 396, and US Highways 31, 43 and 412, about 45 miles south of Nashville. Tennessee's Duck River is a natural treasure, supplying water for many communities and a home for wildlife and recreation. 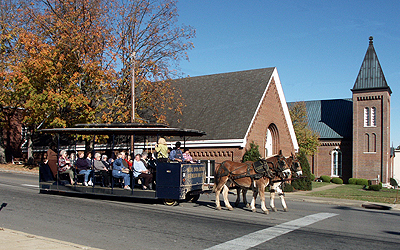 "Mule Day" in Columbia has been a tradition since about 1840, when huge crowds gathered for the animal livestock show and market. Originally called "Breeder's Day," mules became such a big business that at one time it had the distinction of being one of the largest livestock markets in the world. Area recreational venues include Spring Hill City Park, Woodland Park, Maury County Park, Williams Spring Park, Chickasaw Trace Park, the Williamsport Lakes and 18-hole Stoneybrook Golf Course. You'll also find plenty of slides, swings, softball and soccer facilities in Maury County's parks. In fact, several parks are in the midst of adding even more new amenities. A new swimming pool has opened at Fairview Park in Columbia‚ and programs will soon be offered at the new Ridley Park Sports Complex. The youth sportsplex will include softball and football fields‚ concessions and a splash park‚ with more attractions to come during the later phases of construction.